Among the many important goals of the CERN Foundation, the most crucial one is to find a better treatment and cure for ependymoma. We had the pleasure of speaking with Clinton Stewart, Pharm.D., Member at St. Jude Children’s Research Hospital, and one of our Project III team members involved in developmental therapeutics. Dr. Stewart graduated in 1976 from Auburn University, with a Bachelor of Science degree in pharmacy. Soon after graduating, he took a position as a pharmacist at the University of Alabama Hospital in Birmingham. During his time at the hospital, Dr. Stewart worked for over a year in the adult oncology outpatient clinic, despite the fact that in the mid-70s, pharmacists, surprisingly, didn’t really have an active role in the clinical setting. The University of Alabama Hospital at the time, however, was more progressive and provided him with the opportunity to work directly with patients, their families and the medical staff. Admittedly, Dr. Stewart often felt a bit insecure about his role in direct patient care, sometimes unsure of how to answer questions from his patients and their family members. While many pharmacists might be inclined to search for more “comfortable” positions, Dr. Stewart found that this lack of knowledge drove him to continue his work even in his off hours. He found himself spending countless hours researching and reading up on oncology drugs and treatments so that he would be better prepared for his patients and their families. It was during this time that he really developed his love for the area of oncology and realized that he wanted to further his education. At that time the premier place for postdoctoral training in the area of oncology pharmacy research was St. Jude. So he applied to the University of Tennessee Doctor of Pharmacy program, was accepted, and once finished he began his postdoctoral training with William E. Evans, Pharm.D., who has since become director and CEO of St. Jude. 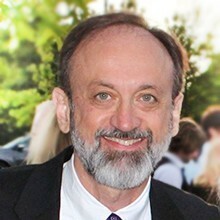 In 1983, Dr. Stewart completed his fellowship at St. Jude and accepted a faculty position at the University of Tennessee where he spent the next seven years of his career. In 1991, Dr. Evans contacted Dr. Stewart and asked him to return to St. Jude as an Associate Member (professor) in the Department of Pharmaceutical Sciences. Dr. Stewart’s expertise and interest in ependymoma research with a focus on drug therapy made him a perfect fit for the CERN Foundation, and he was asked by Richard Gilbertson, M.D., Ph.D., Comprehensive Cancer Center director at St. Jude, to join the Project III team. As part of the CERN Foundation, Dr. Stewart’s research in drug therapy helps in multiple ways. His research helps clinicians determine the optimal drug and dosing for patients in the clinic, and it also helps to identify new and current drug therapies that can be used in pre-clinical settings in the mouse models. More simply, the right drug, the right amount and when to dose the drug. One of the most important aspects of the pre-clinical research involves trying to determine the blood-brain barrier penetration. At St. Jude, Dr. Stewart and his colleagues utilize a specialized technique called microdialysis on a subset of drugs that are then carried forward and put through efficacy studies to determine which drugs are effective in treating tumors in the mouse models, and which actually penetrate the brain versus plasma. Once the most effective drugs are identified, the researchers look at toxicity and are better able to identify the best drug treatments to bring forward for clinical trials. When we asked him about his experience working with the CERN Foundation team, Dr. Stewart said he has found it “truly delightful to work with such bright people and to be provided the resources we need to address the important issue that has been put forth. [The CERN Foundation] brings together a diverse group of individuals to focus on a single problem, and we have made such enormous strides in a relatively short amount of time.” His personal goal matches the ultimate goal of the CERN Foundation – to identify the optimal drug and dosage with the best tumor effect, and with the least toxicity — a goal that he hopes to see in his future, and for the future of St. Jude and the CERN Foundation. Dr. Stewart and his wife, Cindy, a quality program manager for the Blood Bank at St. Jude, have three sons: Chris, a professor at the University of Texas, Arlington; Jason, a computer programmer in Indianapolis; and John, a sophomore at Texas Christian University. As empty nesters, they are loving life, and enjoy spending their time riding bikes, traveling and enjoying their time together. It’s been a pleasure having Dr. Stewart on our team at the CERN Foundation, and we look forward to what his efforts will bring to the future of ependymoma research and treatment.